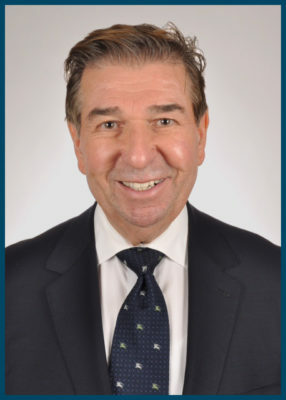 Since graduating from Fordham Law School in 1983, Mr. Spinnell has successfully handled numerous high profile cases, some of which have been featured on the front page of The New York Law Journal, gaining him widespread attention, including fellow members of the Bar. Because we place a significant amount of attention on legal research and high quality legal writing, as well as personalized attention, each of these factors culminate into high caliber legal representation for each one of our clients, and as a result of our efforts, we continuously receive a stream of referrals from highly satisfied former clientele. At our firm, we have one philosophy: to provide each and one of our clients with high quality, legal representation in an affordable and personalized manner. Whether we are working your personal injury case on a contingency fee basis, or if you are a large commercial client working on a retainer, we will treat you and your case as if it’s only case that we are working on. When you are entrusting a law firm with the responsibility of representing you, you need to know that you have selected someone with high ethical standards and excellent legal ability, and we believe we are the firm to do just that. Andrew Spinnell began his early education by obtaining his Ph.D. in Philosophy and Education from Columbia University. After teaching for several years as a professor at various colleges, he embarked on his legal career where he graduated from Fordham Law School in 1983. While attending law school, he worked as a full-time Paralegal at Paul, Weiss, Rifkind, Wharton & Garrison, and then at Donavan Leisure Newton & Irvine. Upon graduation from Fordham Law School, Mr. Spinnell gained a wealth of experience working in the fields of matrimonial, personal injury, commercial and landlord-tenant litigation as an associate at various New York City law firms. As his experience grew, he garnered a reputation for being a consummate professional with an intense drive and work ethic; this can be observed by his relentless 24/7 dedication to his clients. In every case that he takes on, he strives to be available all the time, even after hours on the evenings and weekends. After working for various successful law firms, Mr. Spinnell started his own practice specializing in the same areas of expertise that he had gained invaluable experience from. He is a member of various City and State Bar Associations, including the New York State and the American Bar Association. He is featured in “Who’s Who in American Law,” and is a current member, and past president of his Condominium Board in New York City. Mr. Spinnell is a proud husband and father to his twin boys and resides here in Manhattan.